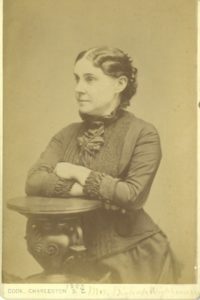 Mrs. Maria Davies Wightman lived in several states, but she became one of the most prominent women in South Carolina Methodism as the founding president of the Woman’s Missionary Society of the South Carolina Conference. Given how the organizations have evolved, she stands first in the line of women to have led the conference’s women’s organization. Born in 1833 in the home of her great-grandfather, a Revolutionary War veteran of the Siege of Yorktown, Maria Davies moved as a small child first to Montgomery, Alabama, then to Macon, Mississippi. She graduated first in her class in 1849 from Centenary Institute in Summerfield, Alabama. During the Civil War, her family moved to Greensboro, Alabama, where Southern University was located. A South Carolina clergyman named William Wightman was serving as the university’s chancellor, having left Wofford College in 1859 to help start the new university. (This college eventually became Birmingham-Southern.) In 1862, Maria Davies met Wightman, who was a widower with 5 children. Despite a 25-year age difference, they married in November 1863. In 1866, the General Conference of the Methodist Episcopal Church, South elected William Wightman a bishop, and the Wightmans moved to Charleston, Bishop Wightman’s home, to establish his episcopal residence. Bishop Wightman traveled throughout the country to preside over Annual Conferences, and Mrs. Wightman found herself busy supporting the bishop and raising their two children. And here began Mrs. Wightman’s involvement with missionary society work. Women in Methodism had wanted to organize some type of women’s work in the church for years but had been discouraged by the church hierarchy. In 1878, the Woman’s Missionary Society of the Methodist Episcopal Church, South was approved by General Conference and a constitution prepared by the College of Bishops. On May 23, 1878, the society was organized, and plans soon made to establish societies in each Annual Conference. The bishops appointed the initial officers of the church-wide society, and the eight bishops’ wives became vice presidents. 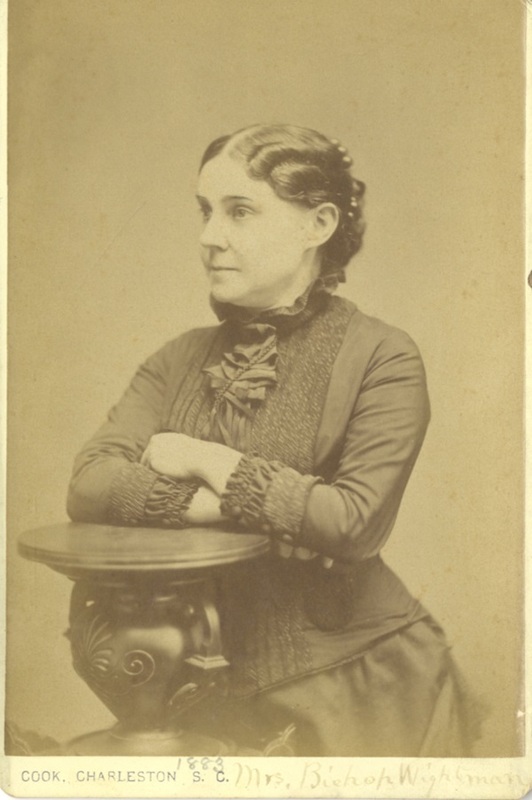 Mrs. Wightman helped organize the society and she suggested that each Annual Conference should also have a society. When the South Carolina Conference met in November 1878 in Newberry, the conference missionary secretary invited any interested women to meet to form a society. Mrs. Wightman was asked to preside. The nominating committee recommended her for the presidency of the conference Woman’s Missionary Society, and she was elected. Some sources have suggested that she was the first woman to preside over a public meeting in the history of South Carolina. Mrs. Wightman remained as president of the conference Woman’s Missionary Society after Bishop Wightman died in 1882, and for thirty more years, until her own death in 1912. Many of the articles in her papers testify to the strength and resolve she brought to her position, for she was intent on supporting women who wanted to serve the church. When the conference society held its first annual meeting at Trinity Church, Charleston in April 1880, she addressed the assembled members as to why they were not holding their state meeting during Annual Conference. “At this time, we have, all to ourselves, two days for consultation, for reports, suggestions, for united, specific, continuous prayer, and an opportunity to see our duty and our privilege, that our lives may take a deeper meaning and purpose.” Had they met during Conference, they would have felt like a side show. She concluded her address, “We need faithful, willing hearts and hands for service… I say to each of you, my sisters, your hand is wanted. The Lord has need of you.” And so, Mrs. Maria Wightman spent the next thirty years organizing the missions work of South Carolina’s Methodist women. This February 23, The Delta chapter of Kappa Alpha, at Wofford College, celebrates its 150th birthday. Kappa Alpha traces its origins to Washington and Lee, though like all secret societies, the founders were more concerned with getting their organization going than they were documenting the history they were making. But, the fraternity was founded there between late 1865 and early 1866. For anyone interested, a recent history of the fraternity by historian Martin Clagett, Excelsior, will give you all the details. Within a few years, the early founders had decided their group needed to expand. In the spring of 1868, the Alpha chapter authorized members to establish a “lodge of our order” at Virginia Military Institute and the University of Georgia. Very soon thereafter, an opportunity arose to establish a lodge at Wofford. 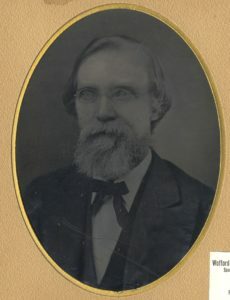 A South Carolinian named William A. Rogers had attended Washington College in 1867-68, desiring to study under Washington College’s president, who happened to be Robert E. Lee. Rogers was initiated into Kappa Alpha while at Washington College, but returned to his native state in the fall of 1868. According to campus legend, he came with a letter of recommendation from Lee. He joined the freshman class at Wofford in October 1868. He soon communicated his desire to establish a chapter in Spartanburg, and in November, the Alpha granted him permission to organize a chapter. Rogers, according to the Alpha chapter minutes, had recruited several interested members. Clagett’s history notes that “On February 23, 1869, in a rented room of the old Evans residence on Church Street, four members were initiated into the lodge.” These four members, William A. Rogers, Edwin W. Peeples, Hope H. Newton, and Lawrence D. Hamer then organized Delta Chapter. Peeples and Newton were seniors and Hamer was a junior. These four then elected John Woods as a member. The Alpha chapter soon sent the bylaws and charter to the Delta chapter. Delta chapter grew, though Clagett notes that the Alpha chapter waned somewhat after the founding generation left. Rogers, as the grand master of the Delta chapter, went about organizing a strong chapter and recruiting good brothers. Two of them were politically (in Wofford terms) well connected. One was John Wesley Shipp, the son of the president of the college, and another was Joseph Augustus Gamewell, the son of a founding trustee. Gamewell, a member of the class of 1871, came back to join the faculty in 1875, a position he retained for 65 years. In the fall of 1869, Shipp succeeded Rogers as Grand Master of the chapter. 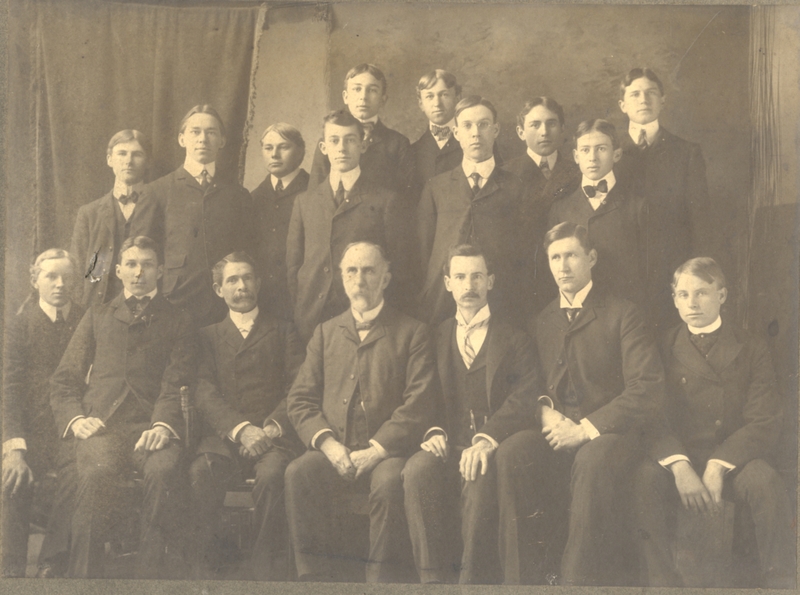 This 1902 photo includes student members of the fraternity along with the founder, Rev William A. Rogers, and Professors J. A. Gamewell, David Duncan Wallace, and A. Mason DuPre, all of whom were members of KA as Wofford students. Kappa Alpha has been a consistent presence at Wofford for 150 years. Several other fraternities quickly joined them on campus – Chi Psi came later in 1869, and Chi Phi came in 1871. Those two did not come back after the early 1900s, when the college banned fraternities for about ten years. Banning the fraternities did not do away with them, it just forced them underground. One interesting moment in the early 20th century was when about 9 students were initiated sub rosa by the chapter at the College of Charleston. When the college learned of their misdeeds, they expelled all of them. Those students all enrolled at Trinity in North Carolina, where they all graduated. Eventually, Wofford relented, granting them their degrees some twenty years later. The faculty and trustees realized that banning secret societies was ultimately a fruitless, pointless endeavor and allowed them to return in 1915. That’s why the Kappa Alpha chapter actually has two charters – one from 1869, and another from 1915. Their original 1869 charter makes Kappa Alpha the oldest currently existing student organization on campus. In the list of names that we associate with the early faculty of the college, we usually include the likes of William Wightman, Albert Shipp, James Carlisle, Warren DuPre, David Duncan, and Whitefoord Smith. The last four of these served together for much of the 1850s and 1860s, and the first two served portions of that era as the first two presidents. Beginning in 1866, a sixth faculty member joined them, but perhaps because he only stayed seven years, nobody ever remembers his name. 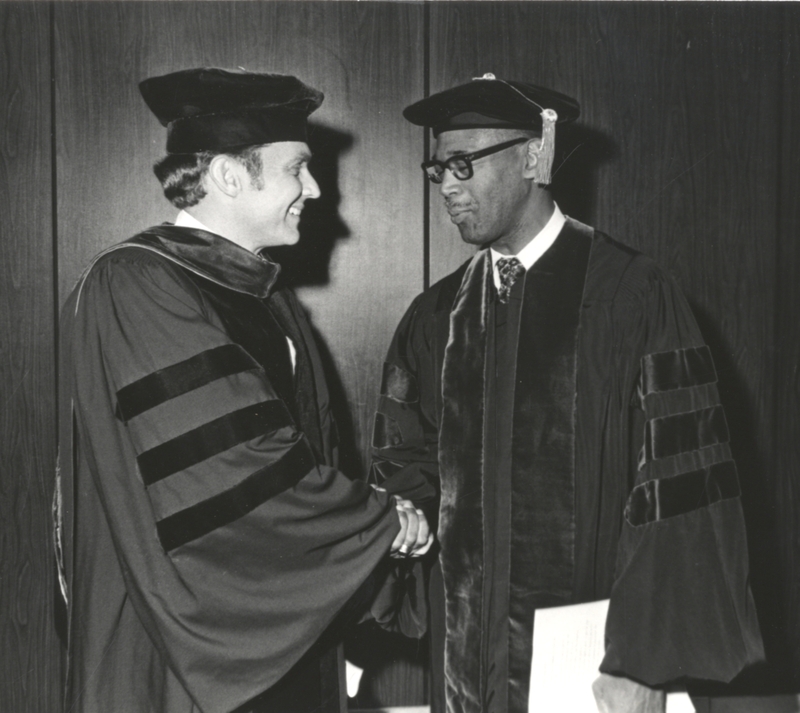 That sixth early faculty member was the Rev. Archibald H. Lester, who served from 1866 to 1873 as professor of history and Biblical Literature. Lester was a Greenville County native, born in 1828. He attended and graduated from Erskine College in 1849, and in 1851, he joined the South Carolina Annual Conference. A series of appointments followed, Pendleton, Union, Cokesbury, Yorkville, Columbia, Cheraw, and in 1860, Spartanburg’s Central Church. Between 1856 and 1865, he married three times, once in November 1856 and once in October 1858, and the final time in 1865. The five trustees present voted in their July 1866 meeting to establish a sixth faculty position, that of professor of history and Biblical literature, and also to establish a divinity school that President Shipp and the occupant of the new position would run. At the same time, they elected Rev. Lester to that position. When he arrived at Wofford in 1866, he evidently had some personal wealth, and thus, due to the college’s precarious financial position, did not take a salary for teaching. The divinity school never really materialized beyond the two professors teaching various religious subjects. It’s only speculation, but perhaps the failure of the divinity school to get off the ground led both Lester and Shipp to search for other opportunities. Lester, according to college historian D. D. Wallace, resigned on Dec. 1, 1873 to return to the active ministry. He accepted an appointment that year to serve in Union, which was probably a bigger town then than it is today. Shipp himself left in 1875 to go teach in the new Vanderbilt Divinity School, eventually becoming its dean. Lester served for over fifteen more years, including four years in Georgetown, before finally leaving the active ministry in 1892. He died in 1897 in Columbia.